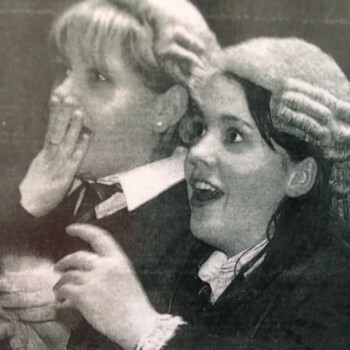 National and world champions 2009: Emily Walker (left) and Aoife Downes from Our Lady’s College, Greenhills, Drogheda, County Louth. 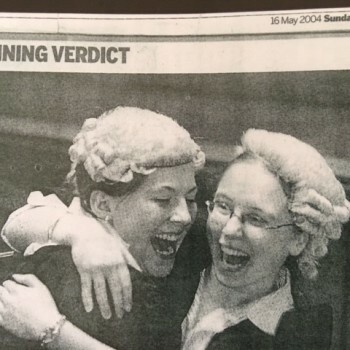 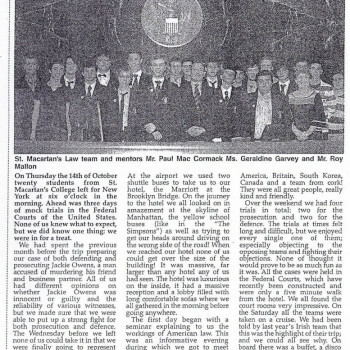 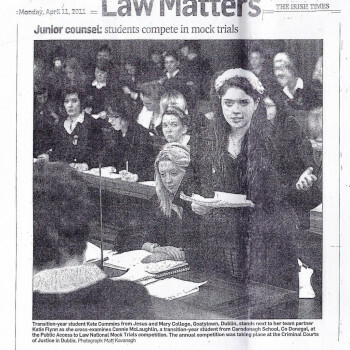 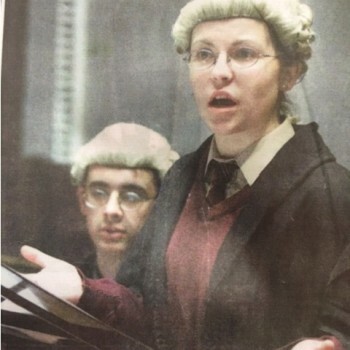 2006 champions: Niamh Pentony and Nicola Kelly (right) from Our Lady’s College, Greenhills, Drogheda after winning the final of the national mock trials. 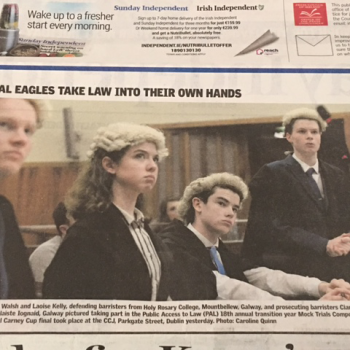 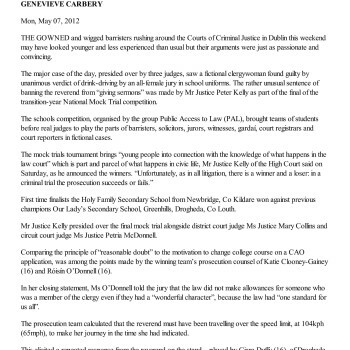 They narrowly defeated a team from Presentation College, Athenry, County Galway in the national final which was adjudicated by three judges, Peter Kelly, John McMenamin and Miriam Reynolds. 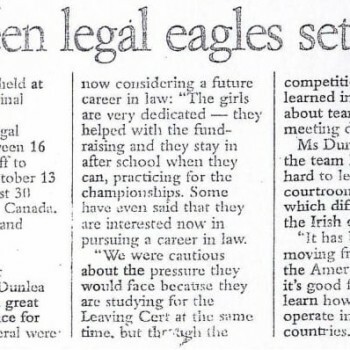 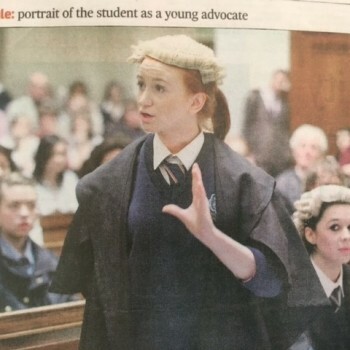 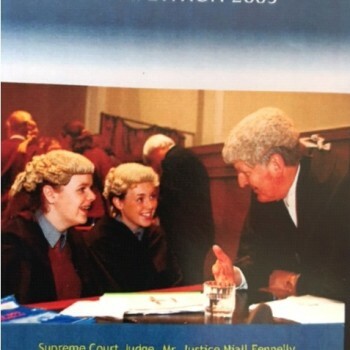 Supreme Court Judge, Mr. Justice Niall Fennelly, in conversation with two of the competitors, Roisin Harkin & Marie Towney who reached the National Final in 2002.